Once a couple tries our cake pops, they want to know all the options to incorporate them into their celebrations. 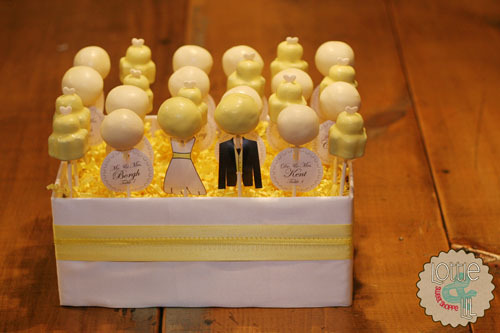 Here are a few samples of how cake pops can make your special day extra sweet! 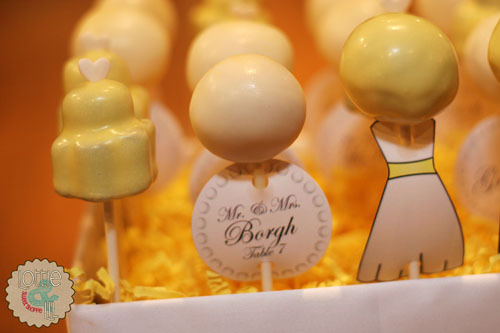 Why not have individual two bite wedding cake pops for each guests. Or use them as your place cards for guests to nibble on as they take their seat. But options are endless so we’ll keep the ideas coming! This entry was posted on Monday, January 23rd, 2012 at 7:30 am	and is filed under Bridal Shower Pops, Engagement Pops, Recent Creations, Wedding Pops.